Mohan is Finally Free! 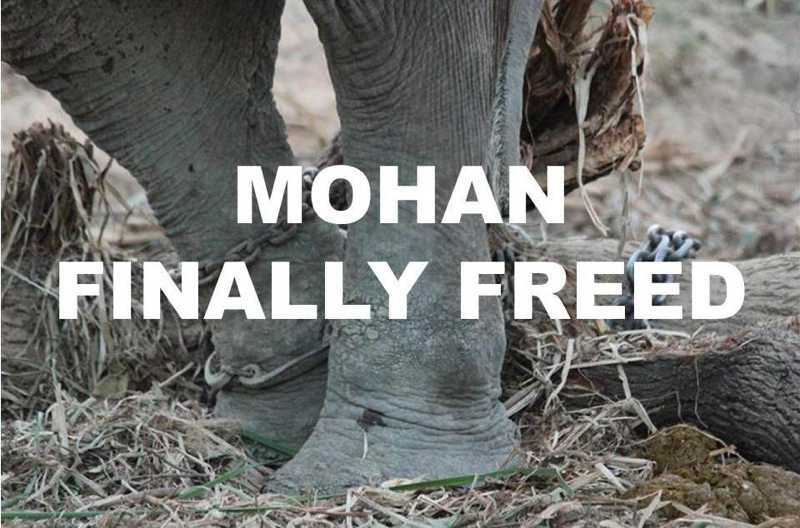 – Arm The Animals Clothing Co.
Home › News › Mohan is Finally Free! We’re thrilled to inform you all that Mohan, chained and abused for the past 50 years of his life, has finally been rescued by Wildlife SOS and is on his way to our Elephant Conservation and Care Center in Mathura. He has been loaded on the truck safely and is being accompanied by 9 team members which includes the Wildlife SOS expert paramedics and rescuers. 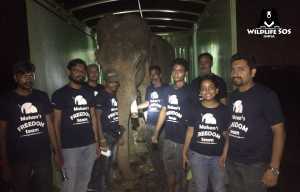 We will have more details to share as Mohan covers the journey of over 500 kms to reach ECCC, so stay tuned and keep checking on Facebook and on this blog as we post updates! Please consider donating to help us give Mohan the care and treatment he so deserves. Thank you! UPDATE – 22nd Sept’16, 12:00am IST: At the stroke of midnight India time, Mohan entered the Wildlife SOS Animal Ambulance. He’s now settled in and now making his way toward his new home at the ECCC! Mohan is seen here in the ambulance with a sleepy but satisfied Wildlife SOS rescue crew. 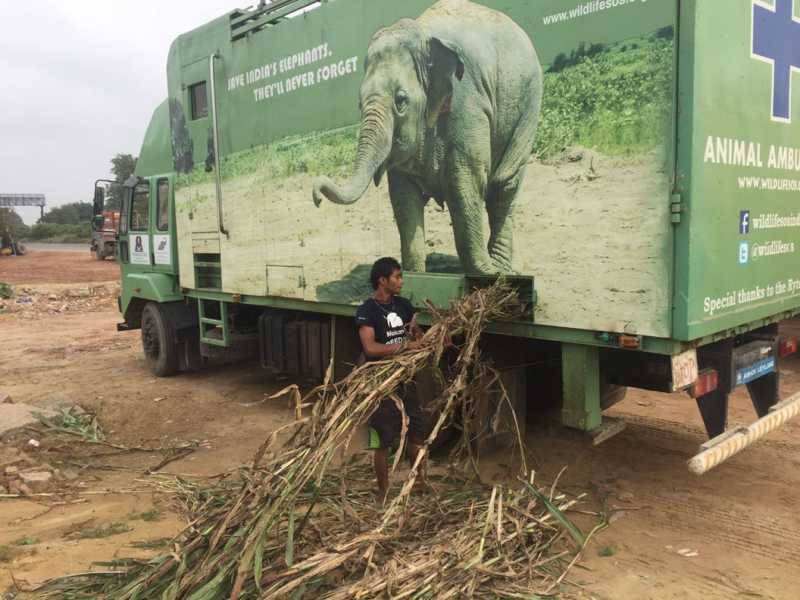 UPDATE – 22nd Sept’16, 5:30 am IST: The team found a field to get some fresh fodder for Mohan and load onto the truck. 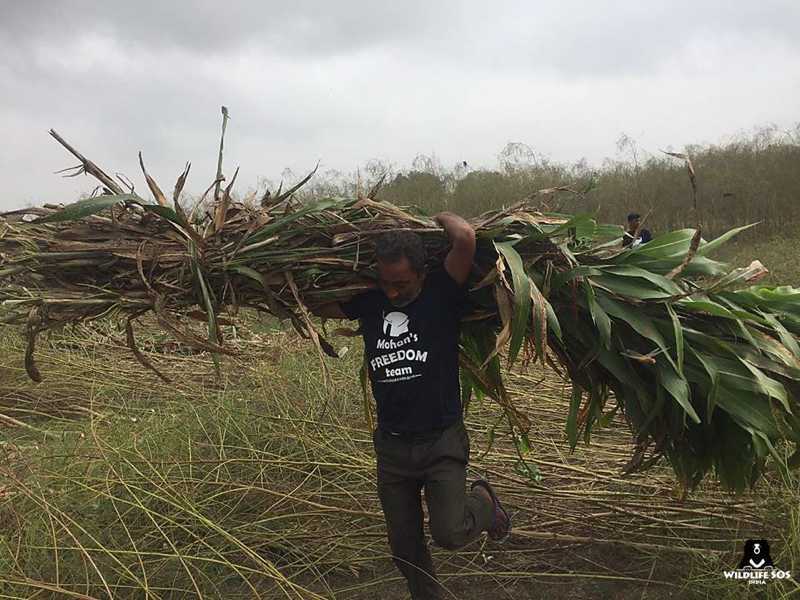 Chopping and loading fodder for a huge tusker ain’t no piece of cake! So much hard-work early in the morning. Phew! UPDATE – 22nd Sept’16, 7am IST: The Ambulance has reached Etawah and it’s breakfast time for Mohan AND the rescue crew! 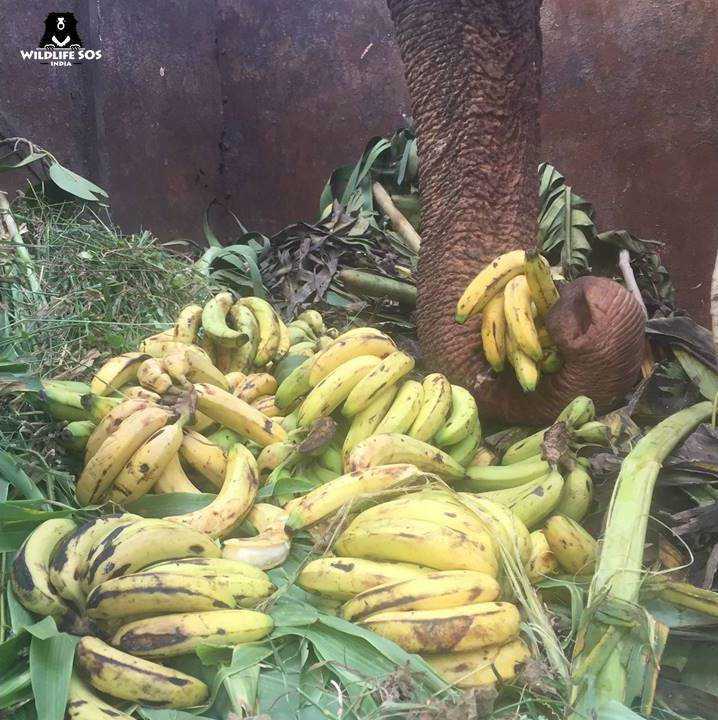 UPDATE – 22nd Sept’16, 10:30am IST : Catch our tusker, munching on his favorite bananas on the way. Someone’s got a biig appetite! 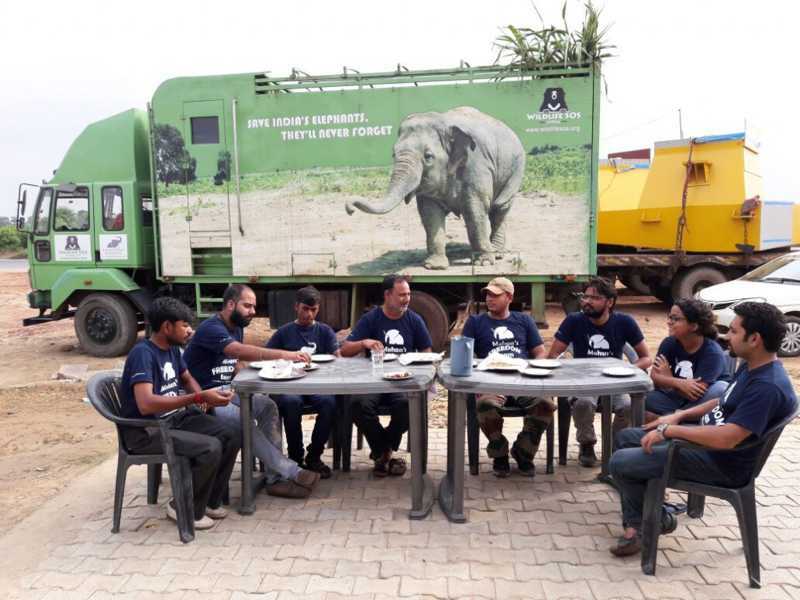 UPDATE – 22nd Sept’16, 2 pm IST: The Elephant Ambulance is now just a few kilometers away from the Elephant Conservation and Care Center. Gear up! !